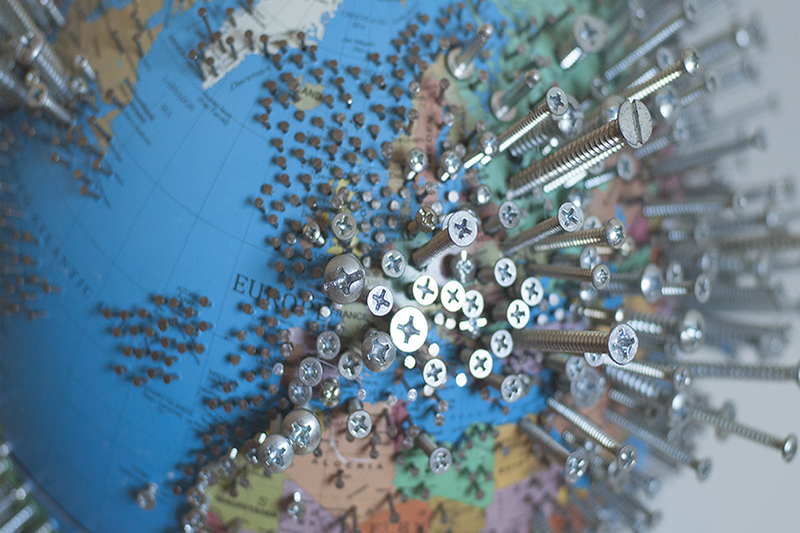 Screwed is a sculptural data visualisation that explores relationship between time, human impact and the Earth. And yes, we better colonise Mars soon! I fancy myself as an environmentally conscious individual, and it breaks my heart to see how careless we are when it comes to our big home. Years of mindless development led to deformations so severe that it would take centuries, if not millennia, to overcome. In some areas the damage is so great-it is irreversible. 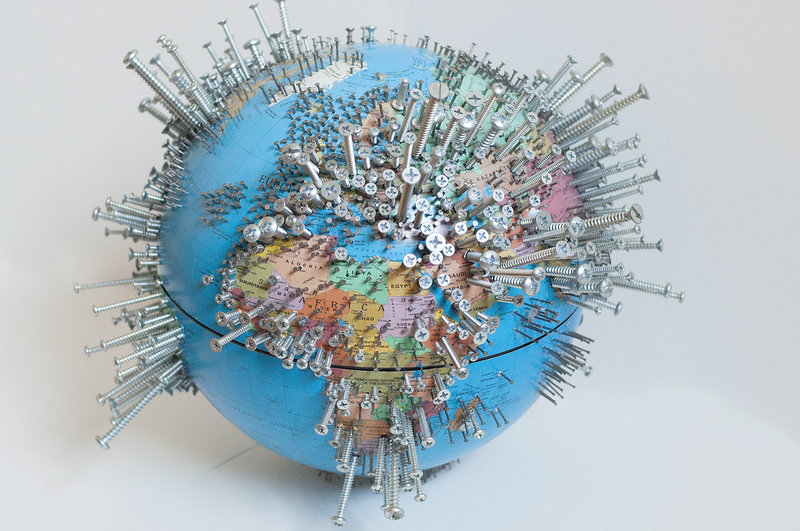 Screwed is a visualisation of the world in the year 3015 if the humanity was to disappear in 2015. 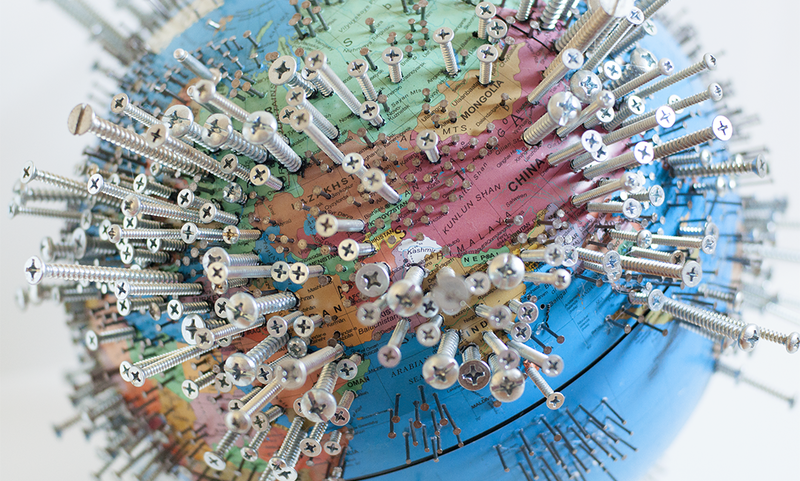 The size of the screw is the time factor determined by the amount of time necessary for the region to recover to its pre-industrial state. Multitude of anthropogenic impacts such as deforestation, urbanization, pollution, ocean desalination, mass-scale monoculture farming, fuel extraction were combined in order to calculate the time needed. Fun Fact: During the creation process, the globe cracked in several place, unable to sustain the physical impact.